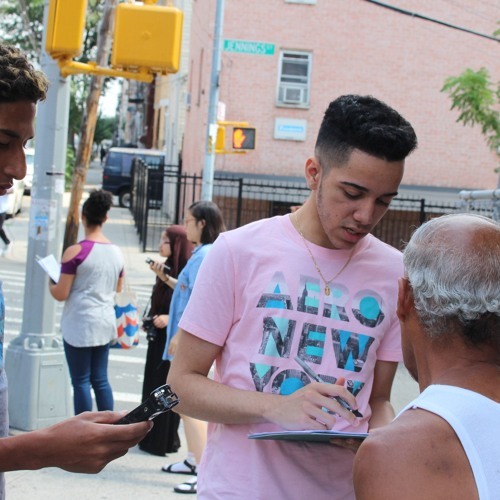 In the summer of 2018 CUP, in collaboration with the Wildlife Conservation Society (WCS), partnered with Teaching Artist Hugo Rojas and public high school students from around the South Bronx to investigate who has access to nature and who decides The Center for Urban Pedagogy (CUP) is a nonprofit organization that uses the power of design and art to increase meaningful civic engagement, particularly among historically underrepresented communities. City Studies are CUP’s project-based in-class and afterschool programs that use design, art, and digital platforms as tools to research the city. To learn more, visit welcometocup.org. Users who like The Bronx Is Blossoming! Users who reposted The Bronx Is Blossoming! Playlists containing The Bronx Is Blossoming! More tracks like The Bronx Is Blossoming!